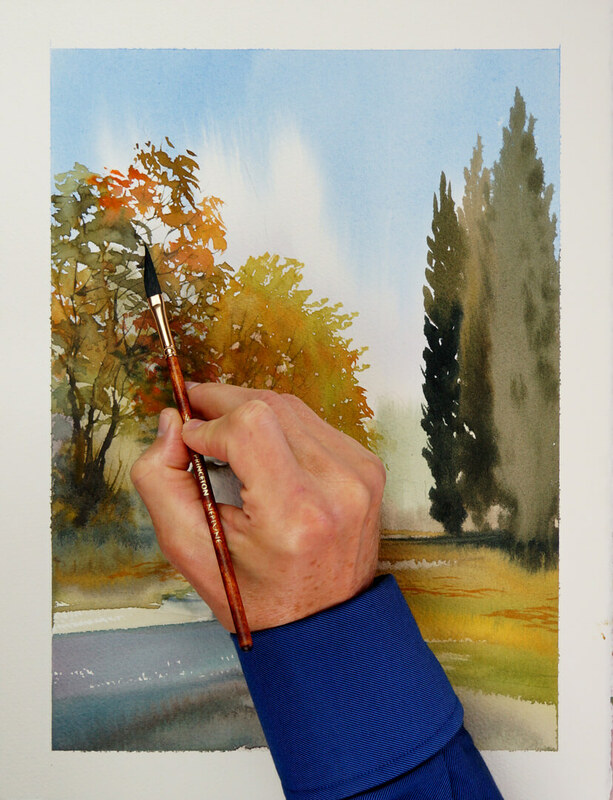 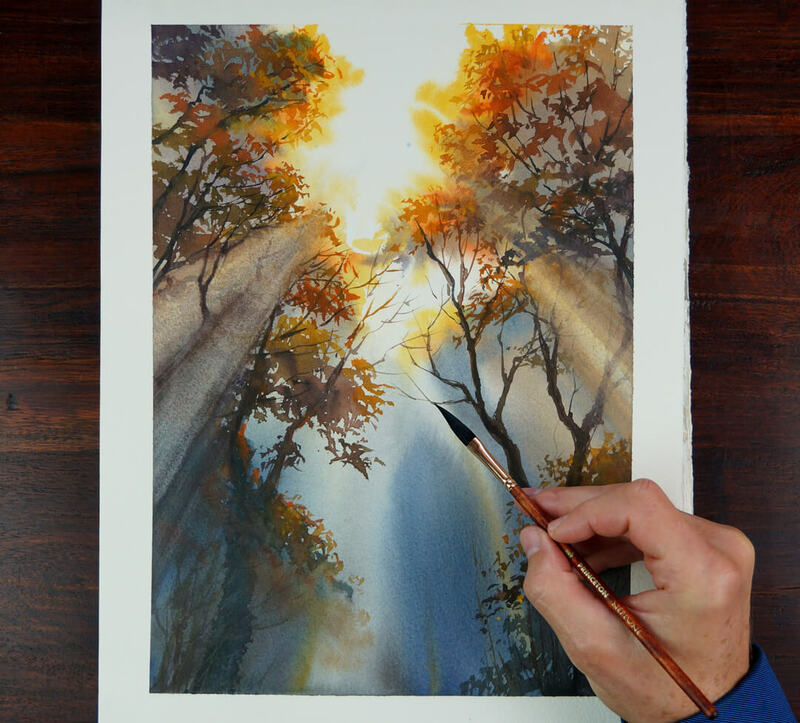 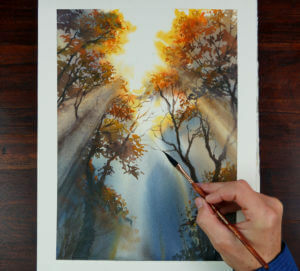 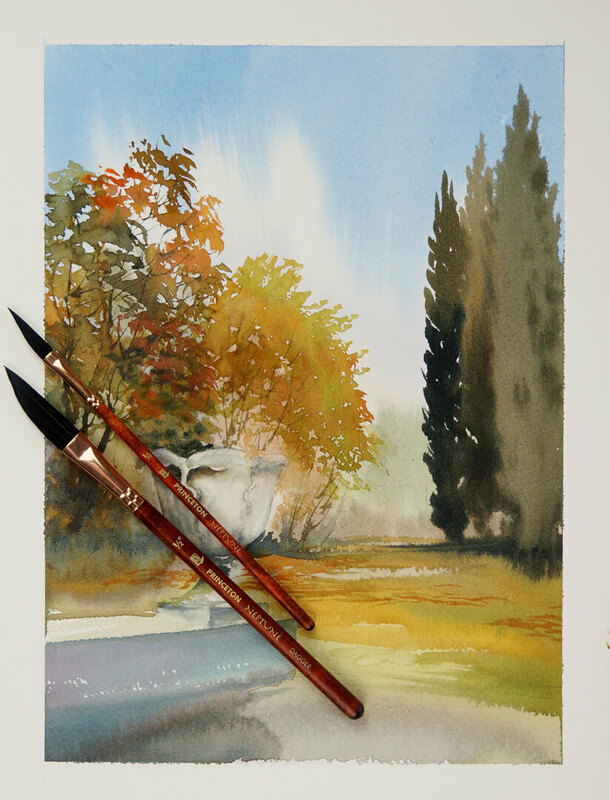 Fine artist, teacher, and author, Vladimir London, shares tips for using our Neptune™ Synthetic Squirrel Dagger Striper Brush (size 1/4″). 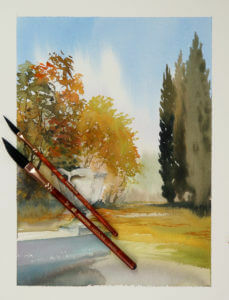 “This is one of my favorite Princeton brushes. 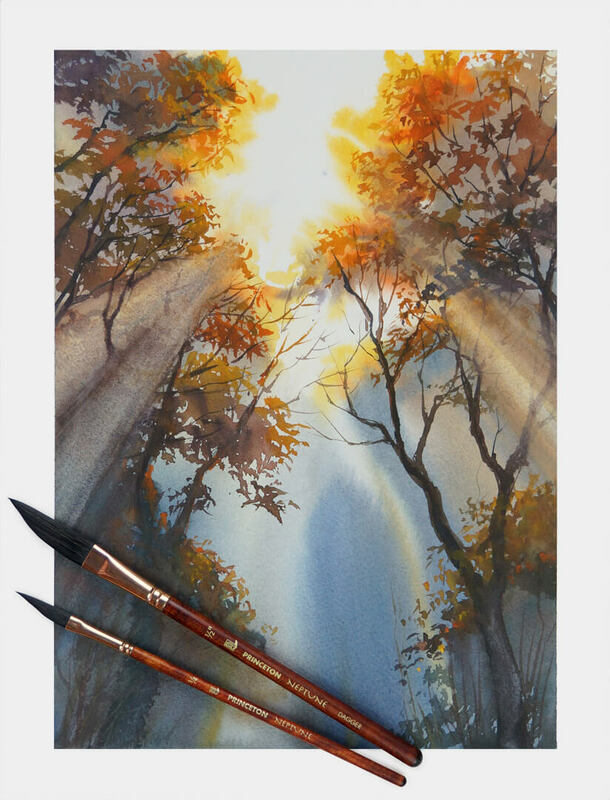 Its long pointed tip, in combination with a fuller belly, allows long thin lines to be turned into wider brushstrokes in one hand movement. 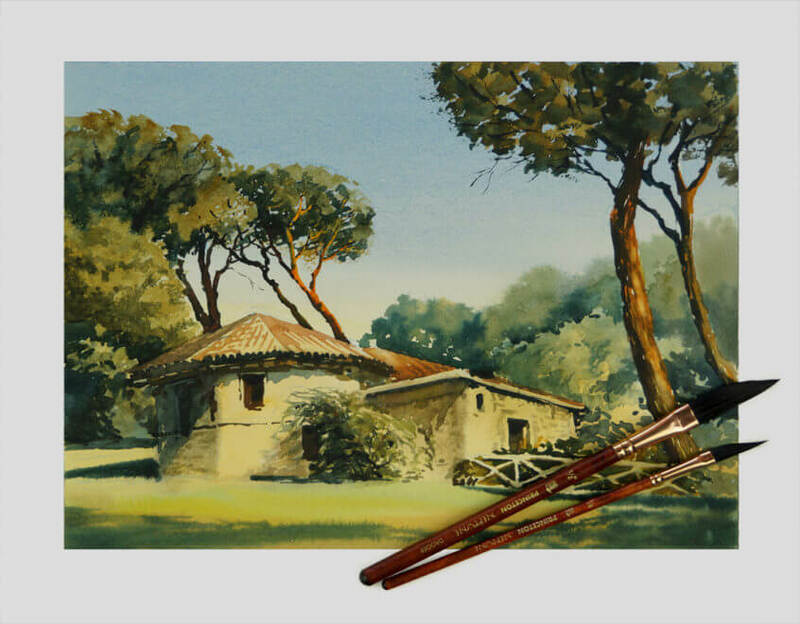 I use this brush for painting organic matter such as tree branches, foliage, undergrowth, bushes, and grass.